This is commander Jav Marlo, onboard the Hyperion, departing Mors Pit in system Bleethuae NI-B D674. The next waypoint has been released. The fleet has been asked to contribute in the mapping of the Aphelion regions, a vast stretch of the galaxy that little is known about. 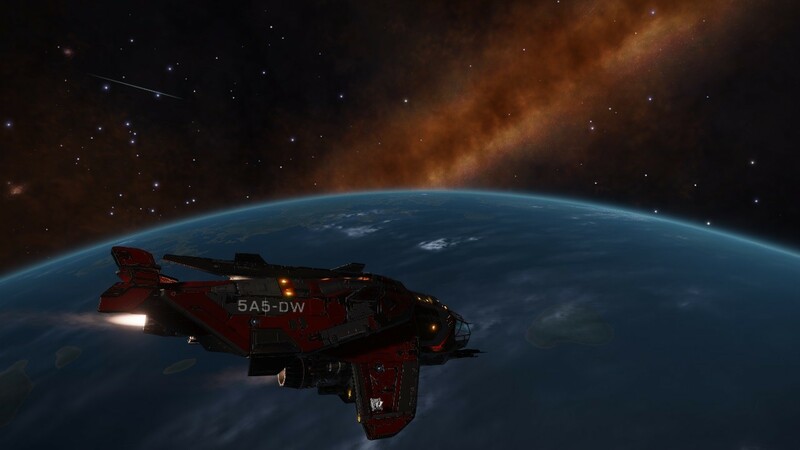 If we are able to discover some points of interest in these regions, that will be considered one of Distant Worlds 2 lasting legacies, commander Erimus Kamzel have said. This is too one of the longest stretches between waypoints, exceeding the mark of fourteen thousand light years distance. We have two weeks to arrive to Luna’s Shadow, in system Smootoae QY-S d3-202, from where we will confront the final stage of this expedition. After more than eighty days, the fleet attrition is very notorious now. According to the Galactic Mapping Project database, less than twenty five percent of the fleet made it to the rendezvous point in the Morphenniel Nebula. 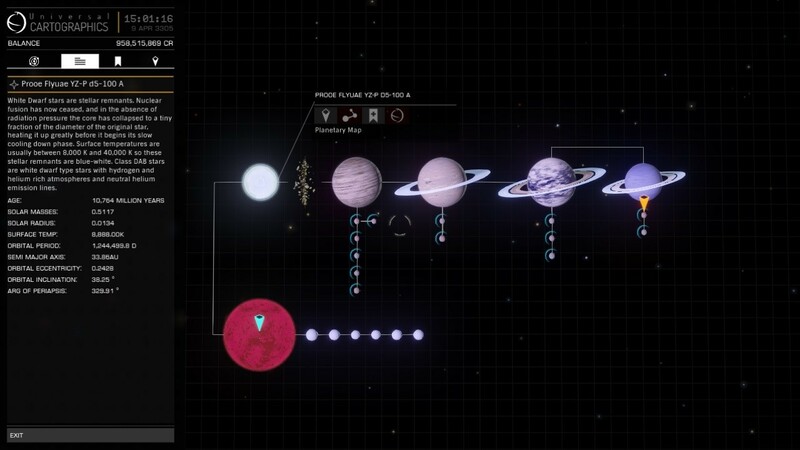 I wonder how many of us will reach the end, in Beagle Point. And then is the return trip. But let’s not think about that now. Just focus on the task ahead. 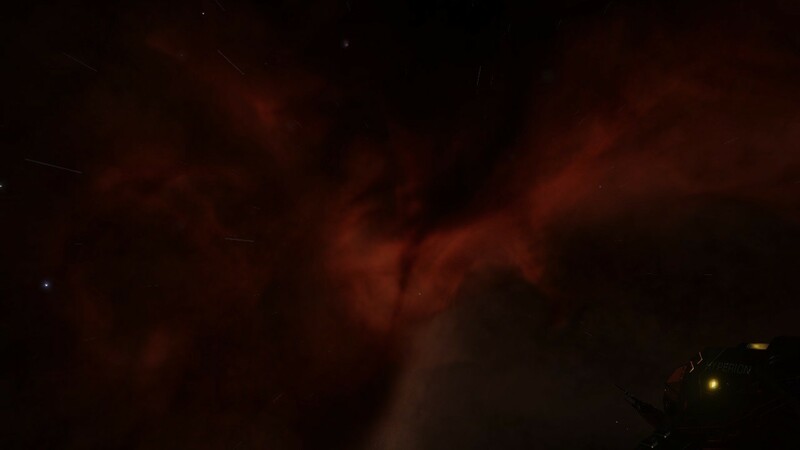 I have decided to start by heading to the Phoenix Nebula. Resuming log. 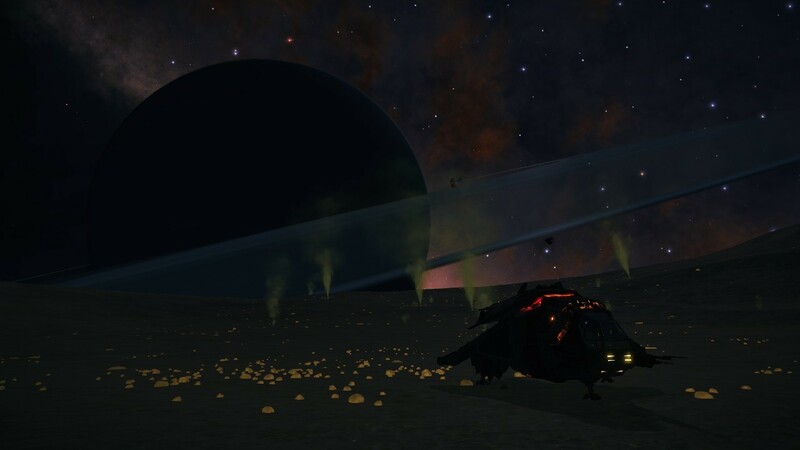 Midway between the Phoenix Nebula and the Morphenniel Nebula, in the Izanami region, I have found an interesting system, Prooe Flyuae YZ-P d5-100. Its primary star is a deadly and beautiful white dwarf, that has been guarding the entrance of the system since more than ten thousand million years. 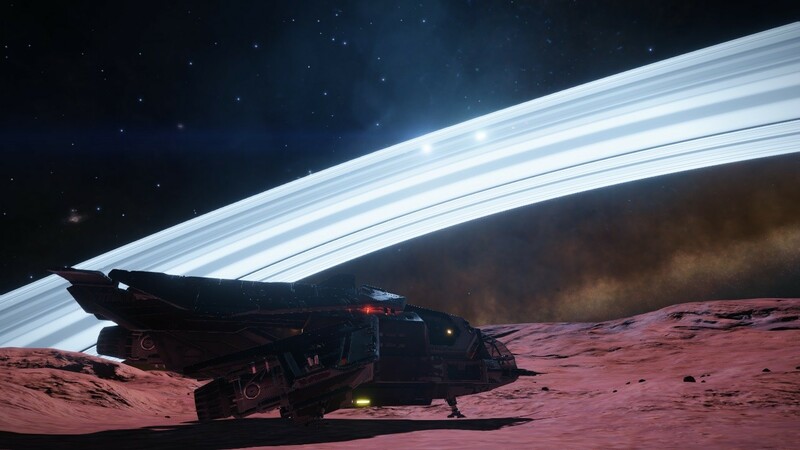 If the explorer that manages to arrive here is prudent and able enough to avoid the deadly trap of the white dwarf exclusion zone, he will find himself in an incredible dark and cold, but beautiful system hiding many wonders. There are four class I cold hydrogen rich gas giants with thirteen icy bodies orbiting them. All these icy moons are landable and there are two hundred and eleven different geological sites spread among them. The first moon in the third gas giant has forty nine geological sites. The system contains too a secondary brown dwarf star more than one hundred thousand light years away that keeps another six similar icy bodies orbiting around. None of the nineteen icy bodies in the system has a temperature above the forty kelvin degrees. The first gas giant has a very close couple of moons that share an incredibly tight orbit. The smallest of then has deep canyons and forty five geological sites, providing incredible views of the other moon and the gas giant. 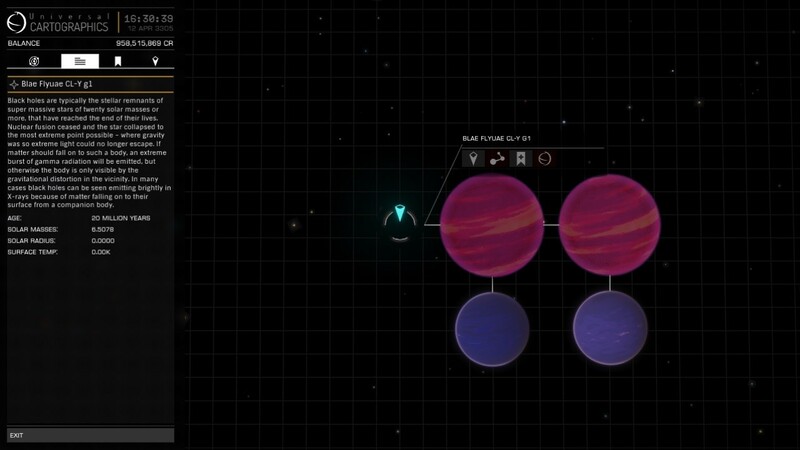 The fourth gas giant has two moons. The closer one describes an orbit that circumnavigates the ring of the planet almost touching it. It has forty five geological sites too, providing with many potential campsites from where to behold the magnificent ring of the gas giant. The views are quite similar to those on the Silver Highway in system Phipoea HJ-D c27-5254. Being this system in the region of Izanami, the Japanese goddess of both creation and hell, it reminded me the legend of Yomi, the land of the dead, most commonly known for Izanami’s retreat to that place after her death, that is described in Japanese mythology as a World of Darkness. I think Yomi would be a very proper name for this place. Resuming log. 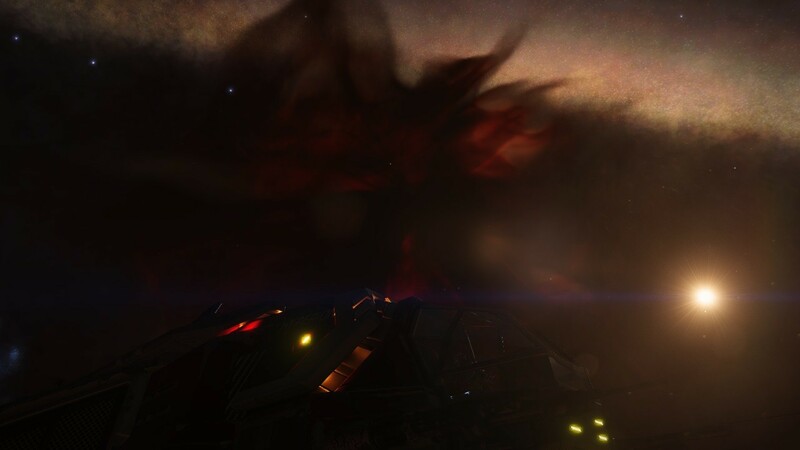 After expending some time exploring the frozen system I have found, I finally made it to system Dryiquae SO-Z d13-3, the Phoenix Nebula, which greeted me with all its magnificence opening its wings like trying to embrace my little ship. The three thousand light years trip here was worth that sight. It has been quite a trip and I am exhausted now. 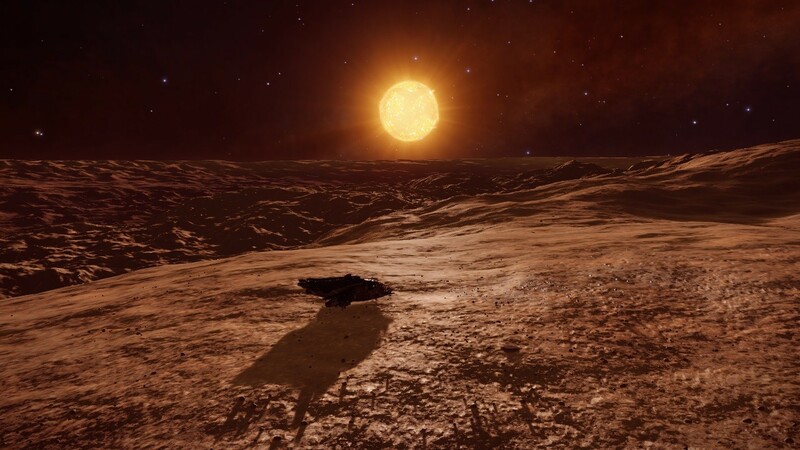 I am looking for a suitable place to land and rest, and I think I have found it in one of the moons of system Preia Pri UA-A CO. A great campsite under the shadow of the Phoenix. Resuming log. I am heading to system Bleia Flyuae ZU-N d7-54, also known as Poseidon’s Fury. 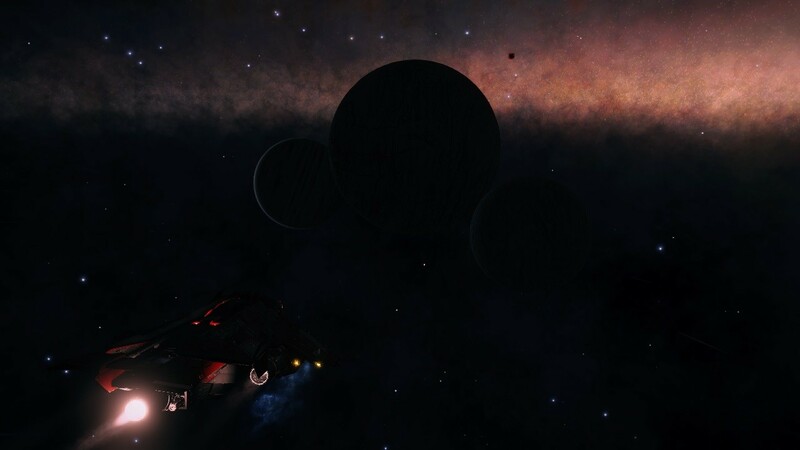 According to the Galactic Mapping Project database, there is a ringed water world, with three relatively large moons. While ringed water worlds in of themselves are not all that unremarkable, this particular water world and its ring system is unusual due to the large gap between the A and B rings with two moons orbiting between the A and B rings, and the third moon in an inclined orbit outside the rings, suggesting that the planet moon system may have had a violent formation. Due to the third moon’s inclined orbit, it is possible to find an excellent view of the water world, its inner ring, its two intra-ring moons and its colossal outer ring. 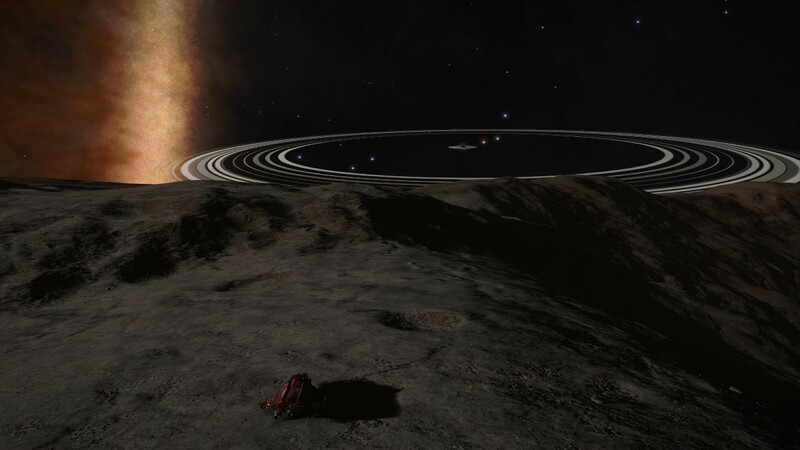 This planet and its ring system was discovered during the Minerva Centaurus expedition in Feburary 3304. Resuming log. After enjoying the view of Poseydon’s Fury, I am heading now to system PRU AUB DL-P E5-35, also known as Aristo, the first stop of this stage of the expedition. It is my plan to look for systems with heavy mass along the way in hope of finding something interesting. Resuming log. I think I have found something. There is an undiscovered black hole in system Blae Flyuae CL-Y g1. Interesting! The system contains, apart from the black hole, two almost identical T Tauri Stars with almost two identical class III gas giants orbiting them. Alas, there is nothing visually striking here. Resuming log. 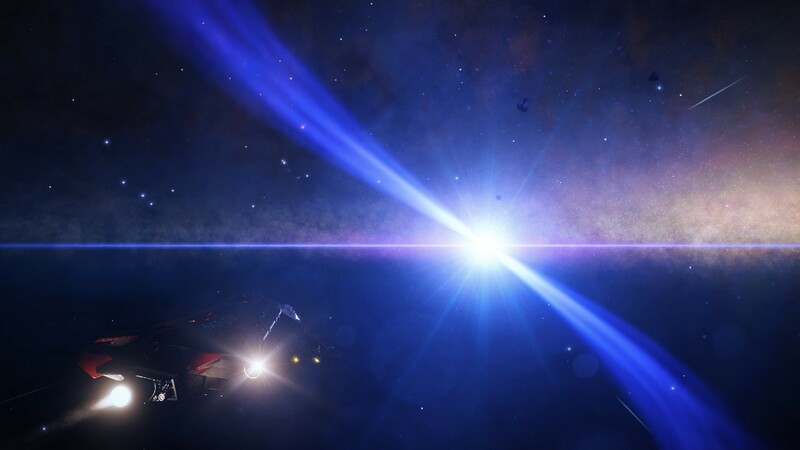 I was passing by system Blu Aoscs LH-N b20-15 when something attracted my attention. There was only a planet there, an icy body, but its colour in the scanner was orange instead of blue. 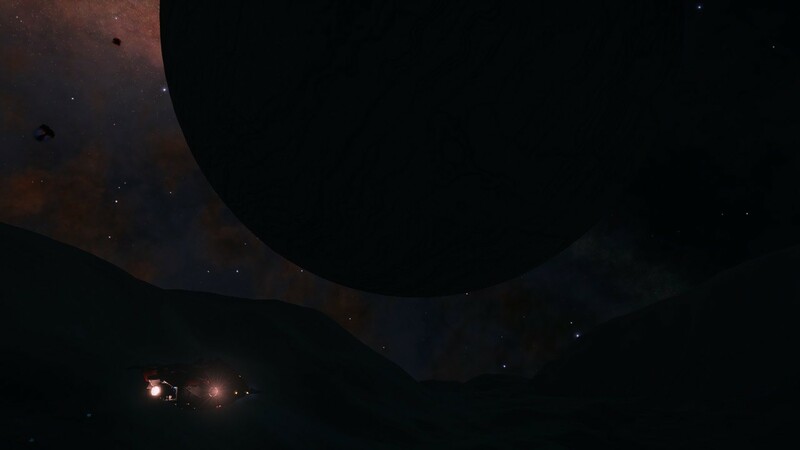 I decided to approach and found it is huge, more than sixteen Earth masses with 2G. And here is the best part. Its surface temperature is 540 K. What a hell! And the computer identifies it as an icy body. Well, if there was ever ice here it was a long time ago. This huge desert planet is vey close to the systems main star too. I have decided to land an take a closer look. On approach, the surface looks quite bumpy. Such a desolated place! But I am tired. The distances of this stage of the expedition are huge, and I must take any opportunity to rest. So, there I go, to land in this burning ice rock. Resuming log. I have found an Earth like planet. Here! In the middle of nowhere. It is the first one I find in quite a time. It is very close to Aristo, in system Pru Aub BX-A c27-49. And it is beautiful! Resuming log. I have arrived to Aristo, in system PRU AUB DL-P E5-35. It is quadruple white star solar system in the heart of the Boreas Expanse. The system contains a variety of high metal content worlds, brightly illuminated ring systems, and several moons, many of which are landable. Most of the landable planets are high gravity. 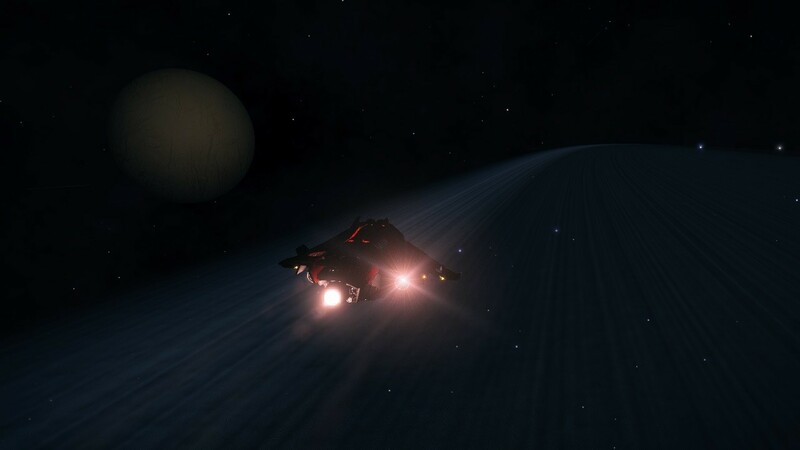 I am heading now to the coordinates of the meeting point, in a ringed metal rich world. The place is on the edge of a huge crater with a great view of the ring. Two of the white stars of the planet are illuminating the ring right from behind making it very luminous. There are no signs of the fleet here. Not a single commander. I am alone in this place.